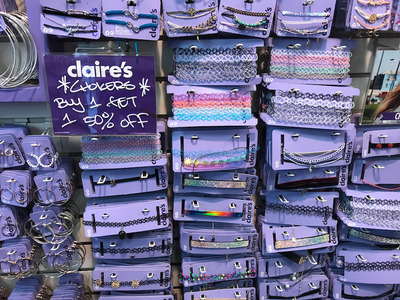 Business Insider/Mary HanburyClaire’s is known for its teen jewellery and accessories. 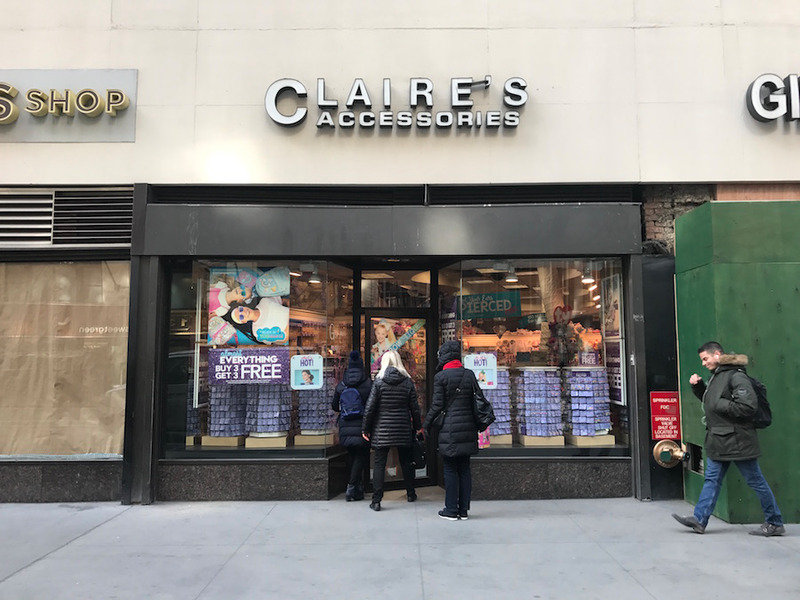 Claire’s filed for Chapter 11 bankruptcy protection on Monday. 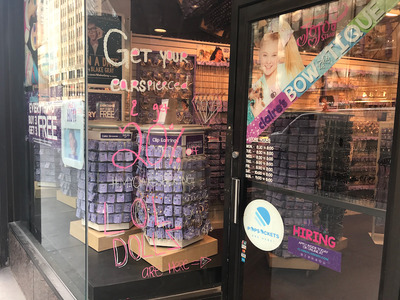 The teen retailer is closing 92 stores across the US and Puerto Rico. 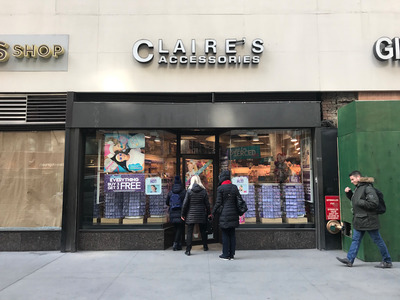 We visited one of Claire’s New York City stores on the day it announced it had filed for bankruptcy to see what it’s like to shop there right now. Claire’s, the teen jewellery and accessories retailer known for its iconic ear-piercing service, filed for Chapter 11 bankruptcy protection on Monday. The company has been crippled with $US2 billion of debt and agreed to a restructuring plan to reduce its debt by $US1.9 billion. 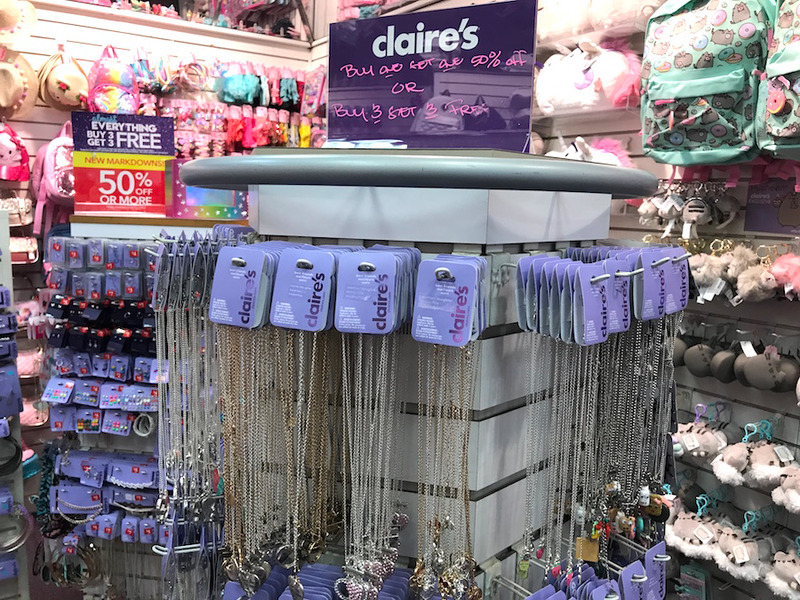 In the bankruptcy filing, Claire’s announced it would be closing 92 stores across the US in March and April. The store that we visited was located on Broadway in New York, between the busy shopping areas of Herald Square and Times Square. 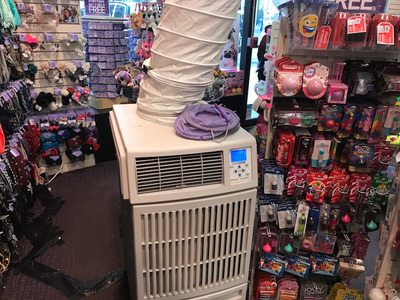 While this particular store is not plagued by the problems that come with being in a mall, this area is somewhat of a no-man’s land for shopping. 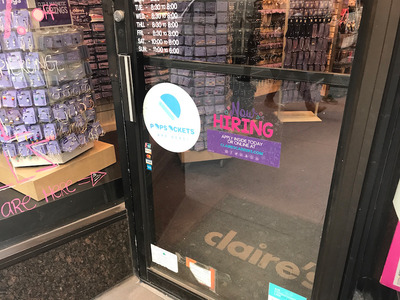 We could not find any job postings for this location online. The company has not yet released its fourth-quarter earnings or confirmed whether it closed stores in 2017. 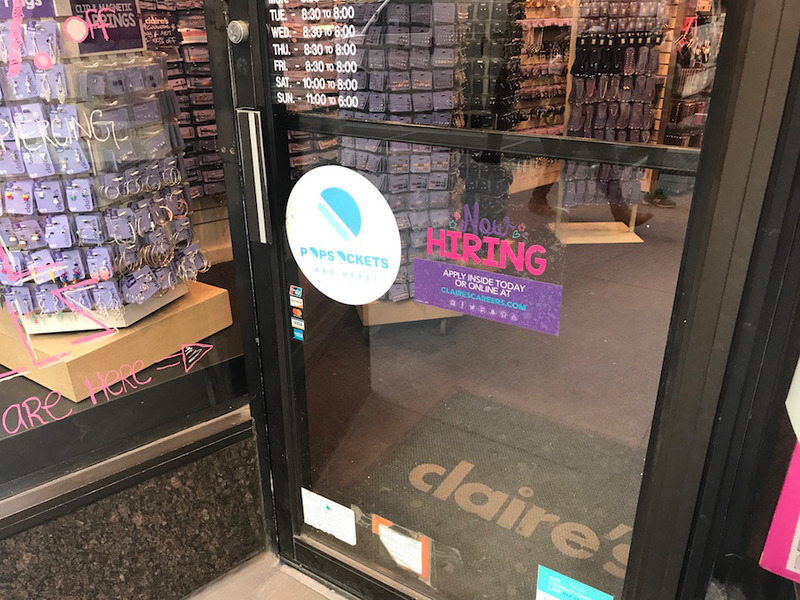 In 2016, it closed 166 stores. 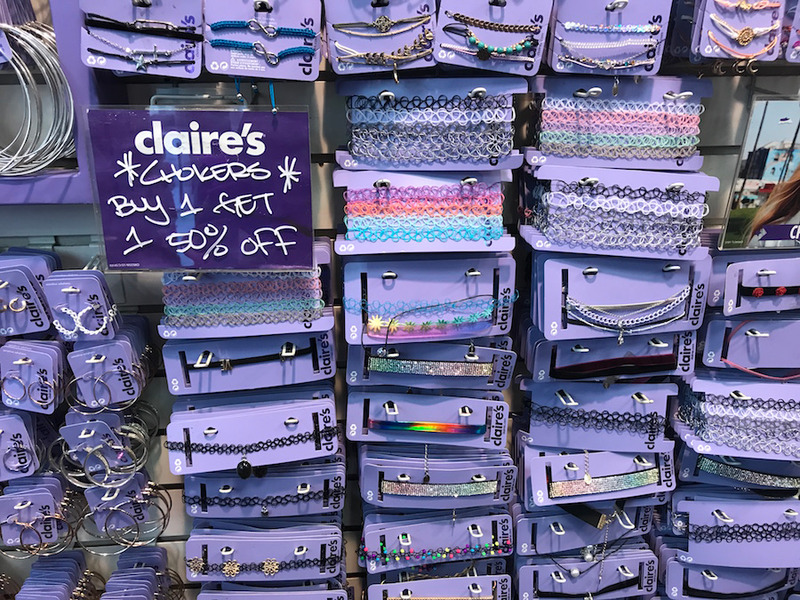 Claire’s is perhaps best known for its ear-piercing service, which is one of the biggest things that attracts customers to its stores. 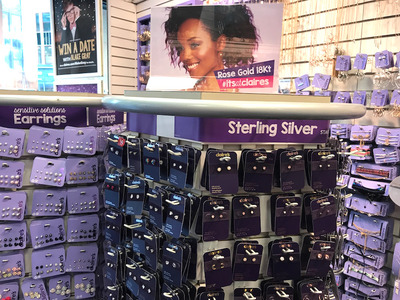 As soon as we walked into the store, an eager shop assistant asked if we were here to have our ears pierced. The front section of the store was devoted to earrings. … which shoppers could easily find for lower prices at other online stores. Claire’s doesn’t only have online sellers to reckon with — low-cost rivals such H&M and Forever 21 are also an issue for the store. 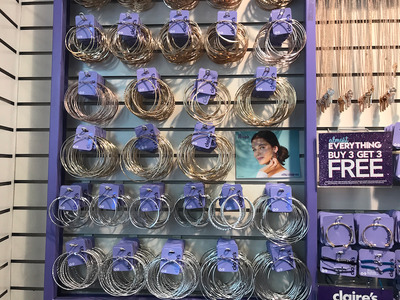 These stores sell similar jewellery and accessories, but often at cheaper prices. 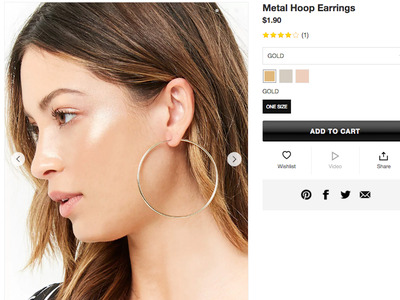 At Forever 21, you can spend as little as $US1.90 on a pair of hoops, and you’ll struggle to spend over $US10 on any earrings. At Claire’s, equivalent gold hoops cost $US8.99. Even in the clearance section, prices were still above Forever 21’s. Most of the store was on sale. The signs worked like white boards. 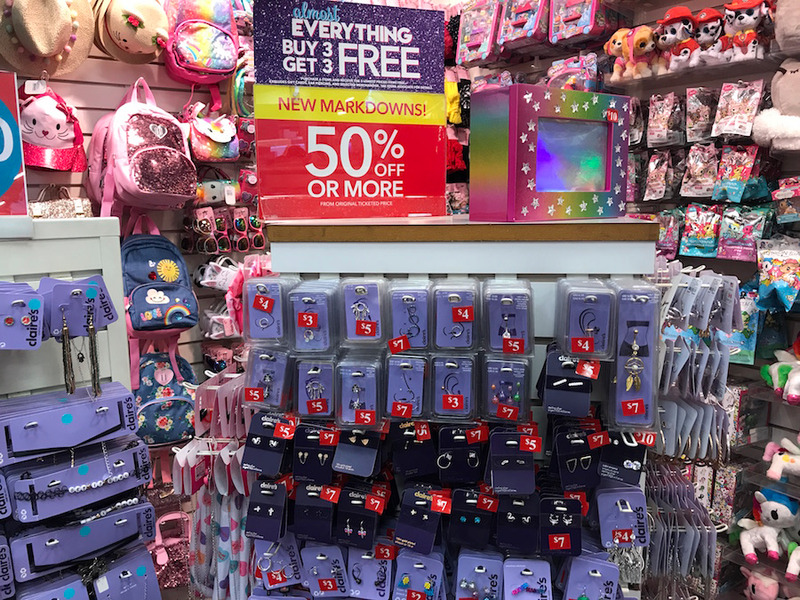 Sales assistants could scrub out old discounts and change them each day. 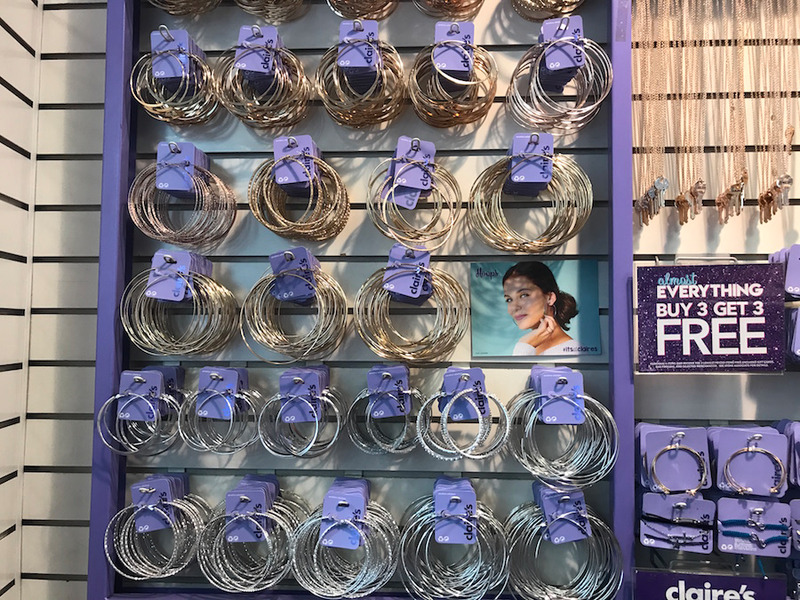 The ear-piercing service is what sets the retailer apart, as it’s an experience that can’t be recreated online and isn’t offered at rival stores like H&M and Forever 21. This is a service that Macy’s offers at some stores, however. 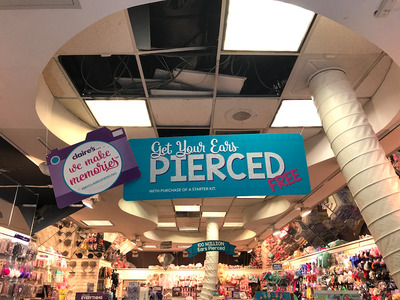 Big signs at the front of the store remind you that this is a service it offers. However, the actual ear-piercing area looked tired and unappealing. It consisted of a bench and an old chair. 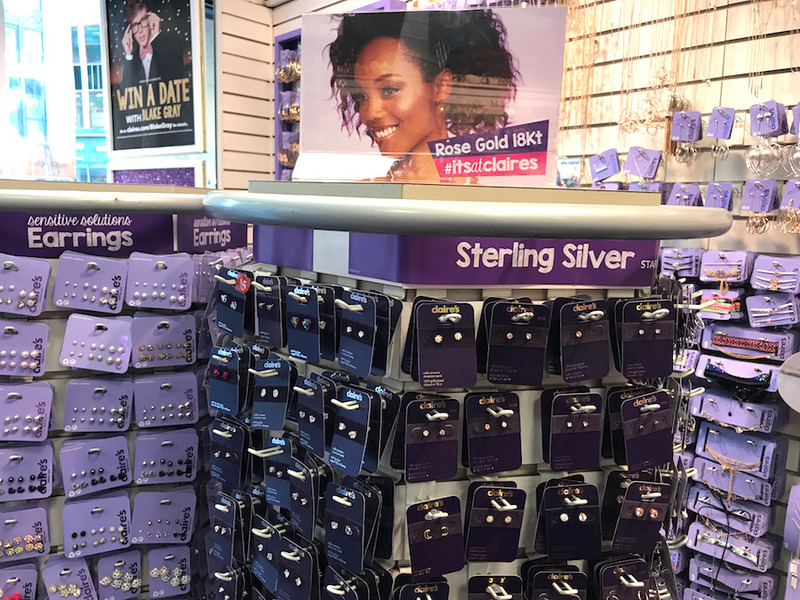 If the store wants to entice customers in, it should be showing off its biggest strength and making this more of an attractive experience. 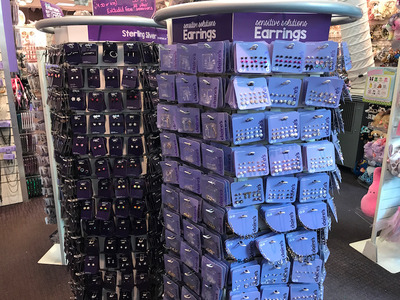 The sales assistant told us that prices for ear piercing vary depending on what stud you choose. 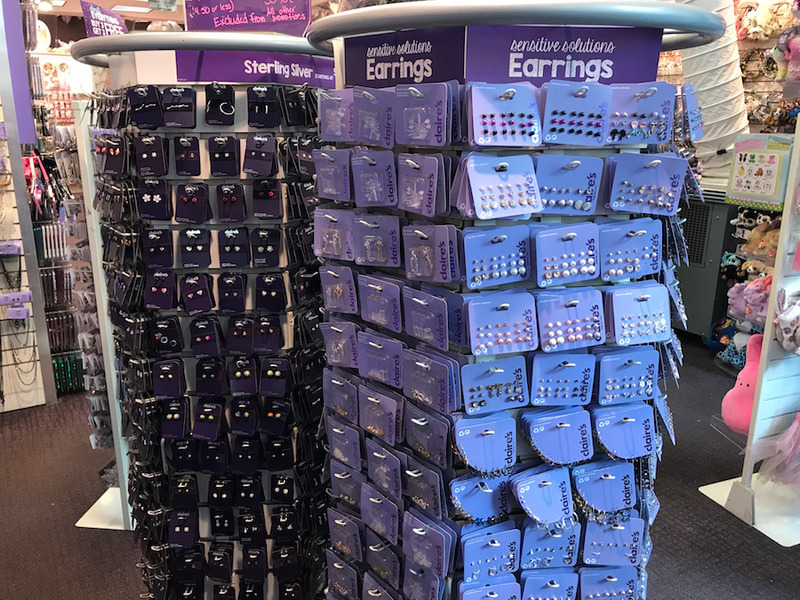 It starts at $US30.99 for a 3mm ball stud and goes up to $US199.99 for a 14-karat, white-gold stud with a diamond. A starter kit is included in this price. 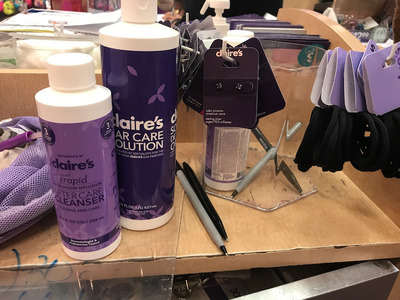 There was a small beauty section in this store. 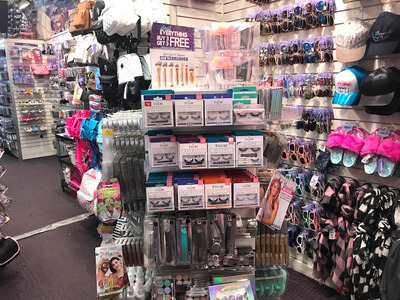 It had everything from eye masks and nail polish to brushes and blushes. 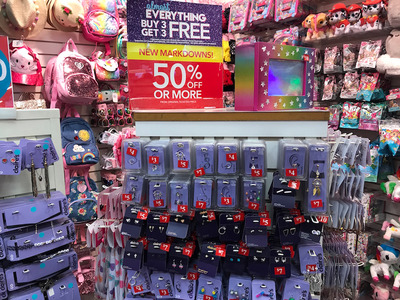 While the majority of the store was stocked with jewellery and accessories, there was also a large toy section. These “Ty” tags were a blast from the past. The store is clearly trying to appeal to a new generation of teens who spend more money on technology. 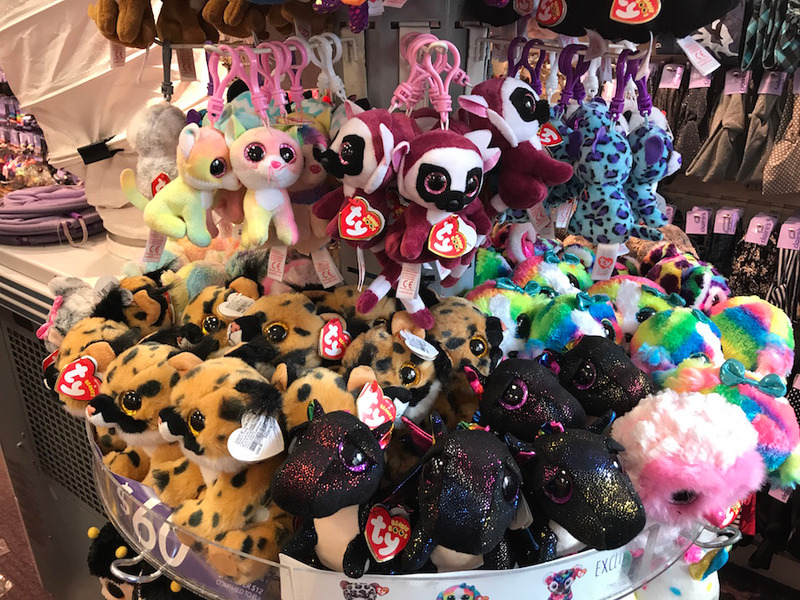 However, the prices often felt out of reach for this age group, especially as this tech-savvy generation can easily shop online for deals. 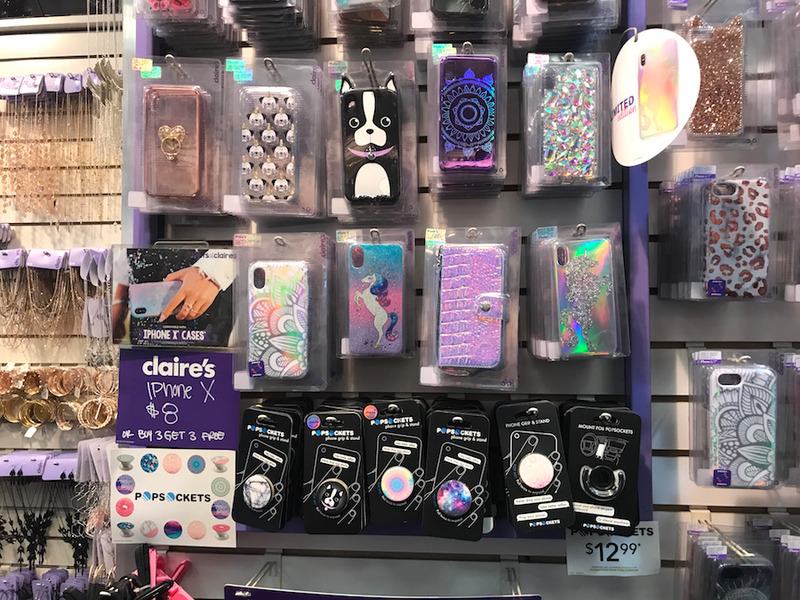 Outside of the sale, these iPhone cases cost between $US10 and $US15. 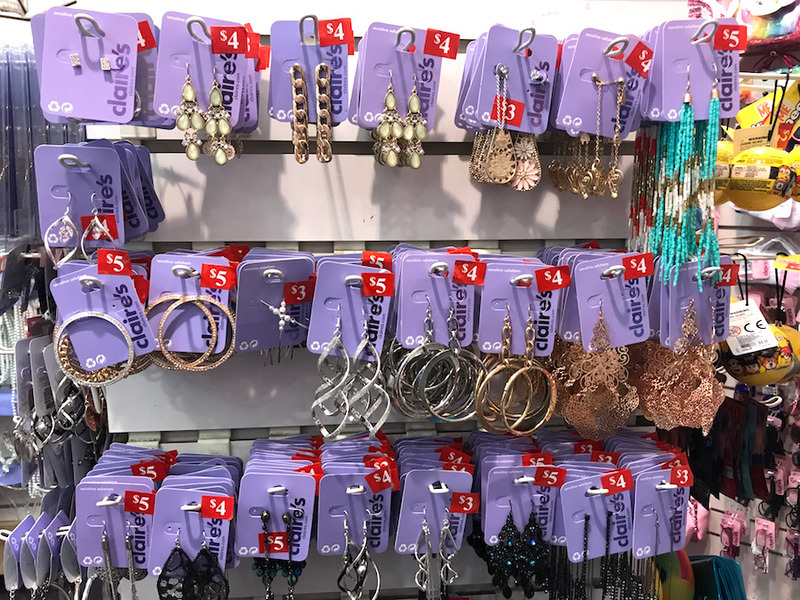 At Forever 21, you can find trendy styles for under $US10. 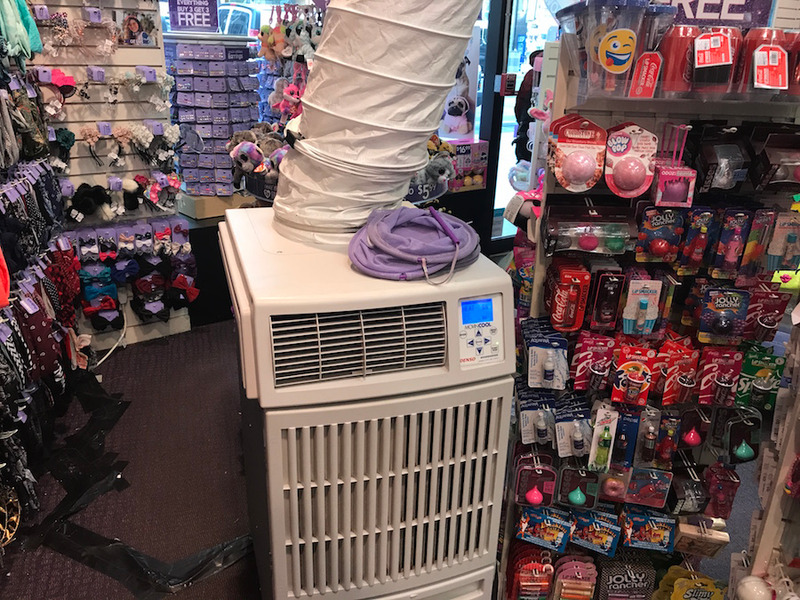 Overall, the store felt tired. Shopping here was like stepping back into the ’90s, and it seemed that the store was struggling to compete for the modern teen shopper.